Rev. 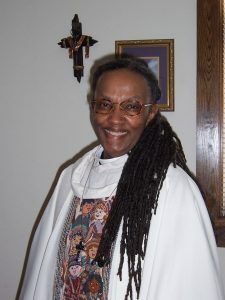 Dozier has seminary degrees specializing in Social Justice Ministry and Pastoral Care & Counselling, and a Doctor of Ministry degree in Ecumenism and Reconciliation. She has served as intentional interim pastor to a number of congregations, most recently MCC Baltimore, Maryland (USA); Faith United Church, Schenectady, New York (USA); and, Derry Street United Methodist Church, Harrisburg, Pennsylvania (USA). Lay members elected to the Governing Board (GB): Kareem Murphy – 6 year term, Sara Jane Ramage – 6 year term, Gail Kissler – 3 year term. Clergy members elected to the GB: Rev. Dr. Robert Griffin – 6 year term, Rev. Dr. Gail Trissel – 6 year term. The following reports were presented, discussed and passed by the required 2/3 of the Lay and the Clergy house: The Moderator’s Report, The GB’s Report which included the Strategic 5 Year Plan, and The International Task Force Report. A motion for an Updated UFMCC’S Statement of Faith to be voted on at 2016 General Conference was made, seconded and passed. A Moderator’s Search Committee was formed to start the process of vetting our next Moderator. In the next three years they will be identifying the needed skills and experience that the incoming Moderator will need. The Committee will be asking for input, reviewing the applications of potential candidates and will bring to General Conference 2016 two candidates for consideration. GB and COE Proposal #1: Church Finances – passed with the following changes – the word “tithe” was replaced with the word “assessment,” the rate of assessments are to be 12% from the present through 2016, starting in 2017 it will decrease to 11.5% and stay at that percentage through 2018. Beginning 2019 the assessment rate will decrease to 11%. The GB was asked to enter into a covenant to keep to this schedule of decreasing assessments. They responded that they plan to keep this goal but are not able to promise due to the inability to see future needs that far ahead and the continued economic instability . COE Proposal #1: Church membership – passed as written. COE Proposal #2: Government, Organization and Officers – passed with the following change, aligned and associated organizations will have voice but no vote at General Conference. All of the above passed with 2/3 majority of both houses. While at GC I attended the following workshops, plenaries and discussion topics: Orientation to General Conference, Keynote and Opening Plenary: Leading with Faith in the Future, Business Forum, General Conference Business Meeting, Plenary: Believing and Becoming the Human Rights Church – How our Global Justice Institute is Shaping Our Global Ministry; beOpen – The Spiritual Practice of Reconciliation; Workshop – One Heart, One Mind; Plenary – Focus on the Future (presented by the COE); Plenary – A Holy Conversation: Believing in the Future of MCC Leadership as We Prepare for our Next Moderator, and Discussion Topic – The Gift of Presence. At this General Conference I took the training course “Creating a Life That Matters – Train the Trainer.” I am now certified to teach this course with the condition that I stay in discussion with the trainers when teaching. I also completed the LEAD certificate program. I am currently discerning the course that my discipleship will follow. I thank NLMCC and the BOD and everyone for their support and encouragement during the previous 18 months. I will be eternally grateful. As always, it was a honor and privilege to represent NL at conference. Monday was Memorial Day. A day originally set aside to remember those who died in the Civil War, from both the Union and Confederate armies. A day that soon came to mean the remembrance of those who died serving our country in all wars – both declared and undeclared. How appropriate that our PRIDE celebration soon follows Memorial Day. 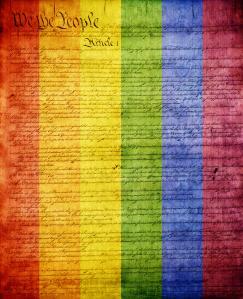 A day that we can remember those who died for just being gay or transgendered as well as those who died because they refused to be quiet and hide in the closet – because they stood up in defiance against oppressive bigotry and hatred by those who wished to claim special favor and privilege in the eyes of God and country. As we remember those who died before us in the fight for equality, may we also look to the future so we can be the agents of change as we stand up for and advocate for those less fortunate than us. I am PROUD to be part of a group of people who love God, their neighbor, and will work to stamp out oppression in our local communities, our country, and our world. Outside the doors of church, away from the bible, when you are living and working in the secular world, where do you find additional sources of strength? Those words above are from the song “Carry On” by the band called FUN. I love it when music, pop music speaks to me; it usually is the words combined with the artist’s unique “sound” will evoke an emotional response. In this song, the first time I heard it on the radio a few months ago, a sense of hope was present. However there is no guarantee that any two of us might by some miracle have the same feelings evoked. Happy Easter and thanks for worshipping with us. Your stewardship committee has been busy these last few months planning and doing things to involve us in the church and our community so that we may give generously of ourselves. A focus of our team is to encourage the congregation to give to the Lord freely and generously. 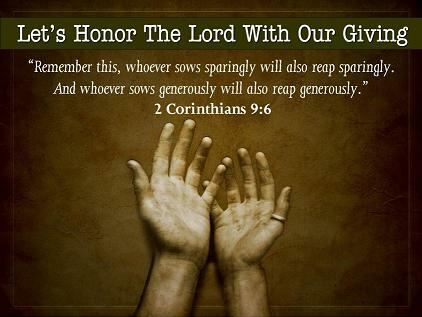 In 2 Corinthians 9:6, the Apostle Paul states, “Remember this, whoever sows sparingly will also reap sparingly. And whoever sows generously will so reap generously.” In today’s economic climate and hard times with job losses, supporting families, high costs of medication and paying bills there seems not to be enough to go around at the end of the day. Your stewardship team is here to remind you that giving generously to the Lord doesn’t always have to just include our financial gifts and tithes, but also the giving of our time and God-given talents. We as a church have shined with giving generously over the past few months with helping to clean, paint, and removing unwanted items from the church building to help make our facilities what it is today. In addition, we have volunteered at the Hagerstown Free Clinic and next month will be helping Habitat for Humanity. We can not let this generosity of giving end. We must remain consistent in our generosity to grow. To be consistent is to be reliable, meaning, to be able to maintain a particular standard or repeat a particular task with minimal variation. We must commit to give of our time, talents, and tithes on a regular bases. It is necessary for the stewardship team to remind everyone that your financial contributions and tithing to the church help to keep the doors of New Light MCC open as well as supporting our church’s mission and vision. To accomplish this task we would like to suggest a simple practice for you to follow. If you are absent one week, we ask you to put aside the amount you would have normally tithed and add that to your next week’s tithing, or set up automatic payments from your bank so that each week your money comes to the church even if you aren’t there. We are a generous and giving Church. Our tithes and gifts show the generous Spirit that is with us and will assist us in moving forward in our Church’s growth. We hope that you will continue to share the gifts that God has bestowed upon you as a steward, so that we may continue to make strides towards growing our generous church. We pray to God to guide each of us in being consistent in our generous giving to honor of our believed Savior. What a nice diversion from winter’s cold and gloomy days – watching the Oscars! Just looking at the dazzling smiles of the people on the red carpet, admiring the tuxedos and dresses of not only the nominees but also their guests, and having an opportunity to vicariously join in the celebration by simply watching the Oscars in the comfort of our homes. Yes, it was a nice diversion – until I began to think of the money spent on this event. The money spent to make sure that their smiles were dazzling. The money spent on the lovely gowns, jewelry, shoes, and tuxedos. The money spent on makeup, hair styles, and tanning. The money spent on hosting this lavish affair. Then, I think of the 99% who are lucky to have a toothbrush and toothpaste to brush their teeth but can’t afford cosmetic dental care. I think of those who push all of their belongings in a grocery cart or the people who flee their abusive relationships with just the clothes on their backs; people who are grateful for having food to eat, even if the food isn’t enough to satisfy all of their hunger; people who suffer with illness and diseases because they don’t have affordable health care. Can you imagine an Oscar event that was scaled down – where instead of spending vast sums of money to look fabulous for one evening, a portion of what is typically spent would be donated to charity? We are in the midst of Lent, where one was traditionally asked to give up or make a sacrifice during the 40 days before Easter. Think of the people, the 99%, who could be served through the bounty of such a sacrifice by the rich and famous! I invite us all to think before we reach for something we may not need. Instead of buying a nice dessert when eating out, perhaps put the money you would have spent into a collection to help needy children, buy tapeworm medicine for third-world children, or support organizations that advocate for those marginalized or oppressed. We can do the same thing when we find ourselves reaching to buy yet another shirt or pair of shoes, when what we already have is plenty. I don’t believe that we are called to wear sackcloth and ashes during Lent; I do believe we have been taught by Jesus to care for our brothers and sisters who are in need. What Are We Willing To Give Up? After the festivities of the Super Bowl and Mardi Gras, we have now entered into the time of Lent. Lent is the season of the Christian Year that covers the period of approximately six weeks leading up to Easter Sunday. The traditional purpose of Lent is to prepare the believer for the experience of the death and resurrection of Jesus Christ. During Lent, many Christians commit to fasting or giving up some favorite thing, either as a form of penitence or in imitation of the 40 days that Jesus spent fasting in the wilderness before beginning his public ministry. It used to be that we would be asked to give up something we liked as a personal sacrifice that would be pleasing to God. Rev. Elder Darlene Garner prepared a Lenten meditation that asks the question: what are we willing to give up this year that will bring holiness to our lives, strength to our church, and peace to the world? Our lives would become more holy if we gave up gossip rather than gum; if we let go of our need to dominate others rather than simply giving up our desire to dine out; if we covered our attitudes with gratitude instead of merely covering our foreheads with ashes. Our church would become stronger if we gave up on trying to escape from our responsibility to care for one another instead of giving up on each other; if we gave up criticizing instead of giving up caffeine. Our world would have more peace if we gave up being apathetic by investing 25 minutes a day in prayerful action for the cause of human rights. Let’s try it, even if only for the next forty days. If we do, we might be surprised to discover the glory that will await us on Easter morning. Something to think about, isn’t it. As you may have heard, our denomination’s new “brand” or focus is “be MCC”. We are all tasked with “TRANSFORMING OURSELVES AS WE TRANSFORM THE WORLD”. How are we to do that, you might ask? Today’s scripture readings tell us of a young prophet who is called by God to take God’s word not only throughout the area now known as Israel but also into foreign nations. The Gospel teaches us about Jesus who was not afraid to speak the truth to the people of his home town. God raises up leaders who can begin the work of change – change that is not always welcome and is often met with anger and resistance. Change that can help us to transform ourselves so that we can then advocate for and be the change that transforms the world. Look at the latest changes in our church: volunteer community outreach projects, plans for concerts, dinners out, our music committee, and new worship and learning opportunities just to name a few. Together, these changes will help our church to grow into being the church that God wants us to be. A church that thinks and acts outside of a “box” so that we can spread the message of God’s inclusive love not only in our towns and communities but into the wider communities of the world. 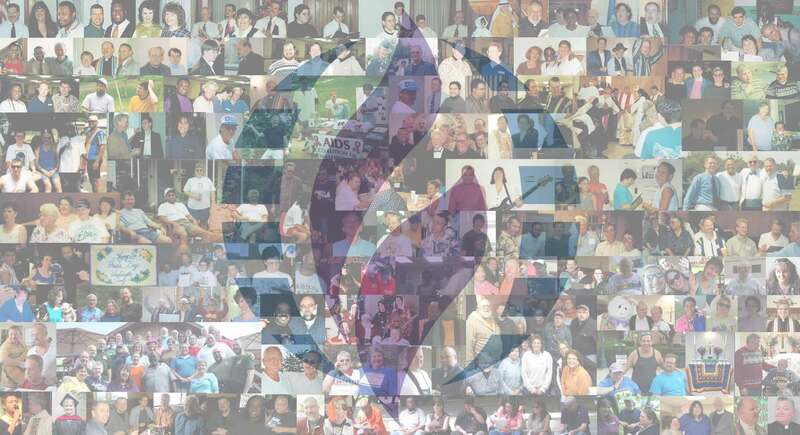 Each change that we make at New Light MCC opens up an opportunity to TRANSFORM OURSELVES AS WE TRANSFORM THE WORLD. Please help us be part of this wonderful transformation! There are so many gifts among us in this congregation. We have people who play instruments we have people who are able to run the sound system and we have people who sing. There are many other gifts here as well, for example we have the members of our preachers circle. There are others that use their gifts in different ways. Our board members have the gift of decision-making. Whatever the gift you may have been given by the Holy Spirit when you use it for God’s glory it only brings God more glory. For all of those who use their gifts we thank you, and for those who are thinking about using their gifts we pray that you do that soon. Whatever that gift may be, God gave it to you for a reason so you should be using it for God’s glory. Drivers: Sandi; Set Up: David W.